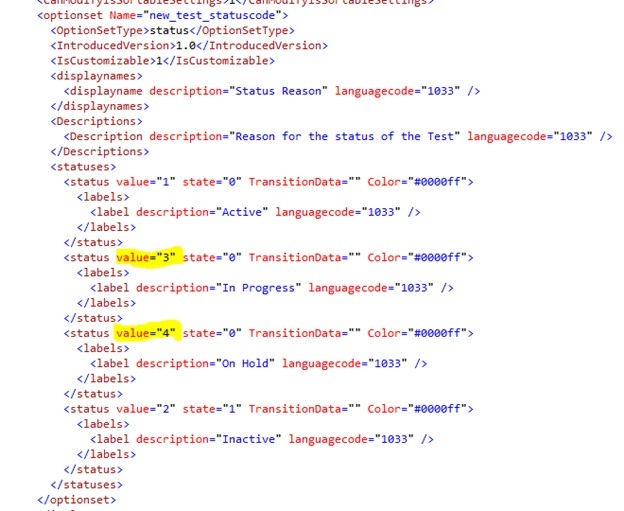 How to update or set custom values for status code in CRM 2011/2013/2015 and 2016. Here is my new post, I am going to tell how to update or set custom values to status code in dynamics crm, it works for CRM online and CRM on-premise as well for all versions CRM 2011, CRM 2013, CRM 2015 and CRM 2016 . As there is no supported way by which we can update values for status code option. But I found a way by which we can update these values. Step 1:- Export solution with entity in which you want to update status code option set value. Step 2:- Open customization.xml file in visual studio or in any other XML editor. Step 3:- Search entity under <Entities> and <Entity> node in which you want to update status code. Step 4:- Now find status code attribute under <attributes> node. As shown in below image. Step 5:- Update values of status code as you required. 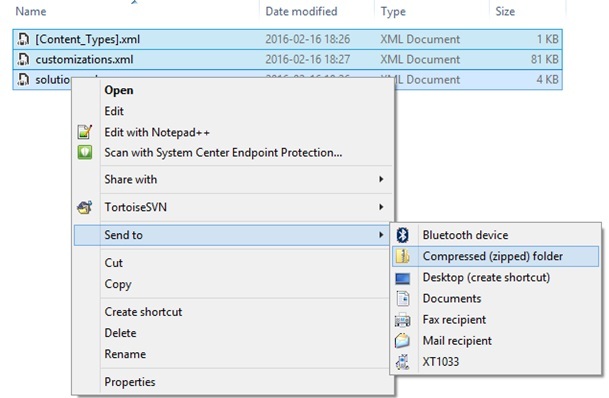 Step 6:- Now save xml file and send to compress zip folder (do not use any other third party compress tool use windows compress feature). Step 7:- Import solution back to CRM organization and do publish all and check status code value, you will get new values. Please note this is not supported customization and Microsoft does not recommends it.